Did you know that Heartworms in Texas are a year round threat? With the recent heavy rainfall and standing water mosquitoes are thriving. Your pets are at a greater risk of contracting this deadly disease when there are higher numbers of active mosquitoes. The P.E.T.S. Clinic offers heartworm tests with no appointment Monday through Thursday from 10am through 2pm. We also sell heartworm preventative medication at great rates based on your dog’s weight. 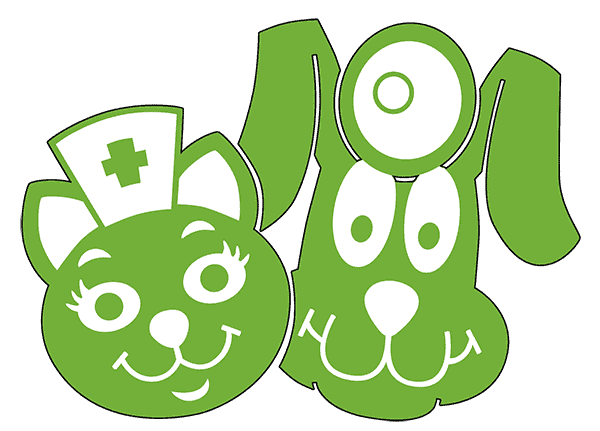 Head over to our services page to check out rates for all of our preventative services. Heartworm disease is a potentially fatal condition in dogs where worms infest the heart and lungs. Due to this infestation, the dogs suffer from decreasing oxygen supply. This slowly suffocates your pet. Heartworms are transmitted through bites originating from infected mosquitoes. Heartworm disease is not contagious to humans. It also cannot be spread from pet to pet. Heartworms can be contracted by pets of any age. Pets of all ages are susceptible to infection and several species of mammals can contract heartworms including cats. You may not be able to tell that your pet has heartworms. That is why it is crucial to get them tested. Signs range from no sign at all to persistent cough, fatigue, fainting and weight loss. P.E.T.S. 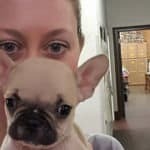 offers great prices on heartworm testing and preventative, head over to our services page for more info or utilize our contact page if you have any further questions. If your pet does contract heartworm disease, treatment can be very expensive for the owner, and a painful, prolonged ordeal for the dog. This is why it is so critical to get your pets tested and on monthly heartworm preventative. The good news is Heartworm Disease is completely preventable. Heartworms prevention helps protect your dog from many other types of parasitic worms, too. 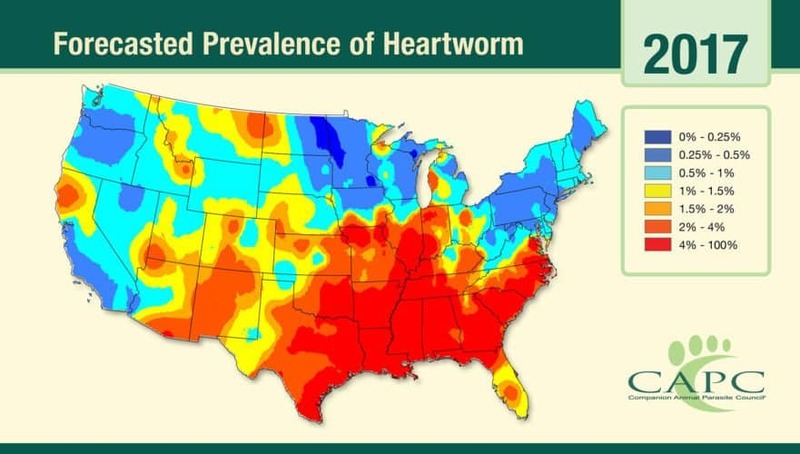 As you can see, heartworms in Texas have a very high rate of occurrence. The American Heartworm Society recommends that you “think 12:” (1) get your pet tested every 12 months for heartworms and (2) give your pet heartworm preventive 12 months a year.